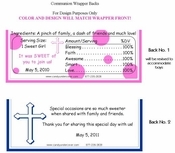 Our Blue Bible and Cross Communion Wrapper is a classic! One of our most popular Candy Bar Wrappers. 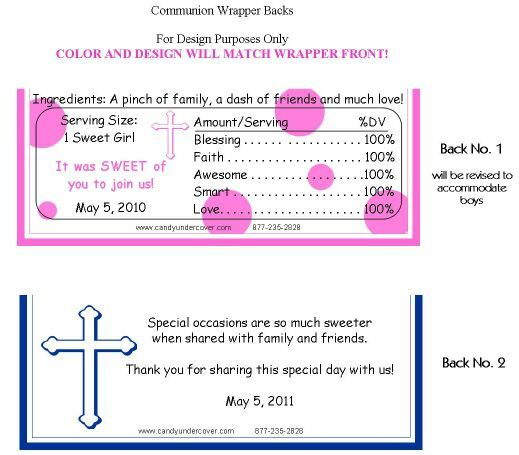 A blue cross with blue roses and an open bible along with your child's name are all you need to make this Chocolate Wrapper the perfect First Communion Party Favor!